On the register webpage, you can input your Email, Password and capatch to register, and then you will be redirect to the member center if register successfully. On the dashboard of member center, you can click to which service you need to do instant quote. On the checkout webpage, you need to input the information and confirm to finish the payment online with paypal or contact us to finish the payment, you can input the shipping address, billing address, and upload the PCB files(Gerber will be recommend), if you have coupon code you also can apply it to get coupon price but you just can use one coupon code. at last you can click the button "Pay Now" to go to Paypal website to finishing the payment and we will know once you finish the paypal payment. Copyright © PCB Doing. All rights reserved. 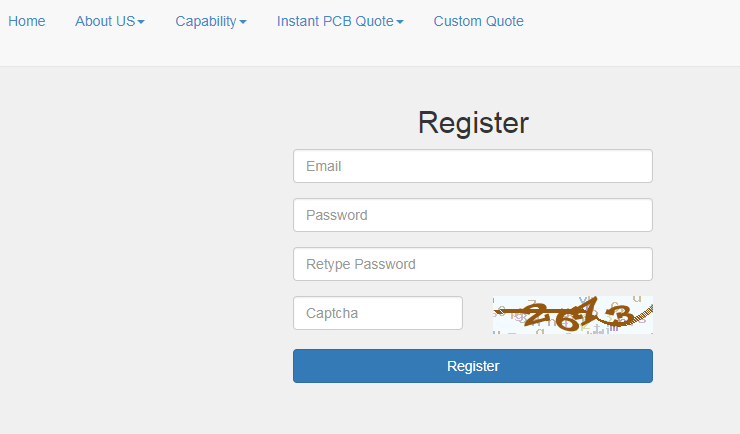 Wonderful PCB Co.,Ltd.